The college is moving forward with plans to install locks on all bathroom entrances that are shared by floor mates. You can learn more about this project and other proposed security projects under the “Security Measures” header on the Student Life page on the InfoCenter. Moving forward, we will use The Juice to keep you informed on updates to that website and expected next steps. You can directly access the page and our first update here. Have you ever wanted to do something but weren’t sure of the first step to take? Doing something new can bring out all kinds of insecurities, doubts, and questions. The BIG Dream Gathering, Tuesday, Feb. 20, 6:15-8 p.m., in the ballrooms (come for all or part of the event), will be a fun and inspiring event that will help you get clear on your dreams and goals, and give you the boost you need to make them a reality. The keynote speaker will be BDG’s co-founder, Mitch Matthews, and the first people to arrive will receive a FREE copy of his best-selling book, IGNITE. Wicked problems are not necessarily evil. They are the most difficult challenges of our time and require a different type of thinking. More than 100 Wartburg students thought about it and submitted 60 problems with ideas for tackling them. Which problems do you believe are worth it? Posters can be viewed on the second floor of Luther Hall, across from the Presidents’ Hall of Fame wall. Vote early, vote often, but only once a day. Voting closes Wednesday, Feb 28, at 11:59 p.m. Click here to vote. If you received an e-mail from the Registrar’s Office about declaring your major or submitting a diploma application earlier this month, Friday, Feb. 23, is the last day to submit the missing form(s). Students who have not submitted the appropriate form(s) by 4:30 p.m. will have a registration hold placed on their account to prevent them from registering on Monday, March 12. At this time, more than 60 students have not met this deadline. The Community Response Team was assembled at the beginning of this academic year to ensure meaningful and transparent responses to incidents of bias that impact the campus community. Since then, the team has met regularly to discuss its charge as well as recent events that threatened our campus culture. In an effort to be more transparent, this website will be updated as needed to reflect how these incidents are being handled by the college. To ensure that the college is doing all it can to make Wartburg a safe and inclusive community for all, the Community Response Team encourages all students, faculty, and staff to report incidents of bias impacting a Warburg community member to Campus Security. The college continues to work to make Wartburg a more inclusive community, and one small step we have taken is to update the Diversity and Inclusion website to ensure that all are aware of the work being done behind the scenes and the resources available to students, faculty, and staff interested in enhancing inclusivity on our campus. For more information about how to get involved, contact Student Life at 319-352-8260. In addition to the work already being done, a campus climate survey centered on impressions and experiences with diversity and inclusion is expected to be conducted before the end of the academic year. Looking for an internship or post-grad job, maybe admission to graduate/professional school? The Career Expo is one of the many ways Wartburg helps students with post-grad plans. It is intended for all majors and all class years as a way to make connections with real businesses, organizations, and graduate/professional schools. Some tables may even have applications with them, so dress to impress, bring a resume, and be prepared! If you need resume help, stop by Pathways, LIB 314. The Expo will be Tuesday, Feb. 27, 11:30 a.m.-2 p.m., in The W’s Hall of Champions. For more information and a list of attendees, click here. Run-off elections for Student Senate president and vice president will take place Tuesday, Feb. 20, via email. Elections for student body treasurer and recorder will also take place on that day. Members of Students UKnight have placed tags around campus to raise awareness of the impact our donors have at Wartburg. Tags include various buildings, equipment, art, rooms, etc. that have been made possible by donations from alumni, parents, friends, faculty/staff and students. Students who have received a donor-funded scholarship will receive a special tag to wear on Wednesday as a sign of gratitude for their donors. Share how these gifts make Wartburg worth it to you by using #TAGDay2018. Contact tony.smith@wartburg.edu for more information. Wartburg is participating in RecycleMania, an eight-week nationwide recycling competition. During the competition, participating schools are required to track all landfill-bound waste and diverted materials that go out of their campus. Activities are also planned on campus to help inform students about sustainable living. To help Wartburg be successful, the Sustainability Office encourages students and staff to properly recycle. For more information, please visit “Wartburg Sustainability” on social media. Please send all Juice announcements to juice@wartburg.edu. This will help ensure that we don’t miss your event. Also, to help eliminate confusion, when submitting a Juice announcement, be sure to indicate in which version you would like it to run: Faculty/Staff, Students, or Both. The deadline to submit items for The Juice is 4 p.m. Thursday. If you send an announcement after that time, we can’t guarantee that it will be included in the next Monday’s Juice. The next meeting of the Wartburg Philosophical and Literary Society will be Friday, Feb. 23, 4 p.m., in McCoy West. The speaker will be Ronald Johnson, executive in residence, Department of Journalism & Communication. The title of his talk is Some OLYMPIC Musings on the Babble of Communication. PRSSA is hosting Danny Laudick, co-founder and executive director of Mill Race Coworking & Cooperation, to speak Monday, March 19, 7-8 p.m., in SC 134. Mill Race provides a space for entrepreneurs, businesses and corporate offices to work in Cedar Falls. Danny will be speaking on how he got into the entrepreneurial lifestyle, his relationship with Wartburg and what new opportunities his company wants to bring to students. For more information, email prssa@wartburg.edu. A Business Communications student group is conducting a study to collect opinions on the Registrar Office’s add/drop process. The data will be collected for use in a recommendation report. As many responses as possible will help the group formulate a better idea of the general student mindset. All students are invited to participate. Click here to take the survey. Sigma Delta Pi and the Slife Professor in Humanities will co-sponsor a movie night Monday, Feb. 19, 7 p.m., in SC 102. Come enjoy snacks and a showing of Inocente, an intensely personal and vibrant coming-of-age documentary about a young artist’s fierce determination to never surrender to the bleakness of her surroundings. You do not need to know Spanish to attend. Make a difference, gain leadership skills, and meet some pretty cool people. Open positions include marketing coordinator, office coordinator, and community partner liaison. Applications are due Thursday, March 15, at 6 p.m. Click here to apply. More information about these positions can be found on Knightlink. Gloria Kirkland Holmes, associate professor of early childhood education at the University of Northern Iowa, will receive Wartburg’s annual Graven Award on Tuesday, March 13, 11:30 a.m., in the Chapel. All are welcome. The Graven Award is presented annually to a person whose life is nurtured and guided by a strong sense of Christian calling and who is making a significant contribution to community, church, and society. It is named for the late Judge Henry N. and Helen Graven, natives of Greene, whose lives reflected those same commitments. Applications for a 2018-19 R.J. McElroy Student/Faculty Research Award are now available. The application deadline is March 19. Maximum award is $2,000. For more information, click here. Applications for Wartburg 2018 Student Summer Research Fellowships are now available. For more information, click here. The deadline is Monday, March 19. Proposals are reviewed by a panel of faculty members. Students can major in any department. Applications require authorship by the proposing student and a letter of support by the sponsoring faculty member. Fellowship award may include student stipend, research supplies or equipment, or travel for research. Limit $3,000 per student. Research conducted in credit courses is not eligible. The Christian church year season of Lent sets aside the six weeks prior to Easter as a season of reflection, repentance, and rejuvenation. This year’s observance is from Feb. 14-March 31. During the Wednesdays of Lent, college administrative offices, as well as the Den and the Konditorei, will close during Wednesday Weekday chapel time, 10:15 to 10:35 a.m. (The W, Zesty Orange, Security Office, Information Desk, and Mensa will remain open). 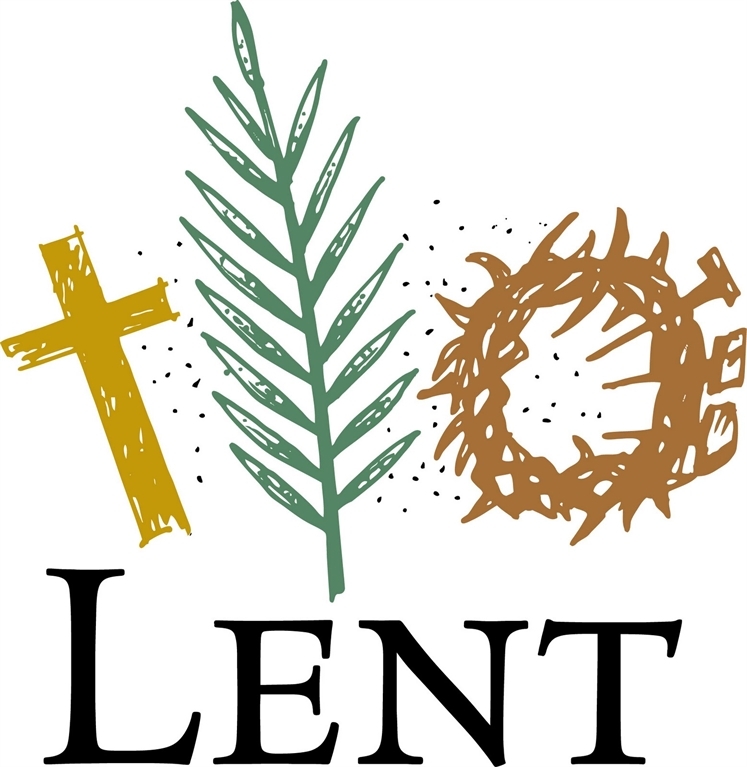 This provides time for faculty, staff, and students to participate in the Lenten chapels or take a break from meetings, lessons, and daily work. Please note that food ordered through GET will be available as soon as the stores open, including board plan meal transfers. Join Wartburg’s Fellowship of Christian Athletes for its free MAZE event Wednesday, Feb. 21, 7 p.m., in Neumann Auditorium. The MAZE has been bewildering audiences around the world for the past decade with its innovative approach to entertainment. For more information on The MAZE, click here. Wartburg West applications for the 2018-19 academic year are due soon. Click here to apply! The deadline is Thursday, Feb. 15, for the fall/winter program and Thursday, March 1, for the sophomore program. Direct questions to Wartburg West on-campus liaison Jo Dorrance. Sign up now to ride the Wartburg Shuttle to area airports and bus stations at the start and end of academic breaks. Go to www.wartburg.edu/shuttle to see the schedule and reserve your seat to the Waterloo Airport, Waterloo bus station, Eastern Iowa Airport (Cedar Rapids), or Megabus station in Coralville for Winter Break and Tour Week. Registration deadline is one week before each travel date. Contact Jennifer in Student Life with questions. Several in the campus community have asked for a report summing up the Reformation Table Talks from Oct. 31, 2017. Small groups spent 2½ hours discussing 21 different questions about Wartburg’s mission and its focus on faith and learning, and on the future of Spiritual Life and Campus Ministry. Click here to see the third mini-report. You will also find previous mini-reports here. Direct questions to Ramona Bouzard. The Wartburg Store is hosting a coloring contest through Wednesday, Feb. 28. Pick up a coloring page, complete and return to the store to receive a coupon for 20 percent off one item. Coloring pages will be on display in the store window all month long. A winner, chosen March 1, will receive a hammered metal travel mug worth $26. There will be no Sunday Worship Services or Chapel during Winter Break, March 4-11. The Service and Leadership Team (SALT) will meet Sunday, Feb. 25, 11:45 a.m.-1 p.m. All Faith Expression group leaders and any students interested in conversation about the ongoing work and future of Spiritual Life and Campus Ministry are welcome. Lunch will be served. If you plan to attend, email Pam Moss for a reservation so we provide enough for everyone. Lutheran School of Theology in Chicago will offer three upcoming Seminary Samplers, scheduled for Feb. 24-26, March 19, and April 18. This is a time to meet current faculty and students, sit in on classes, and continue to discern how God is calling you into the world. For more information, go to www.lstc.edu/admissions. Former Linn-Mar preps Katie Sommer ’18, Kristie Sommer ’18, and Aryn Jones ’18 have been cornerstones of the women's basketball team for four years and this year helped lead them to an undefeated season, as reported by the Cedar Rapids Gazette. The wrestling team earned its 26th consecutive Iowa Conference title, as reported by KWWL and the Waterloo-Cedar Falls Courier. Rachelle Karstens ’92 was named interim president of Briar Cliff University. Stacey Snyder ’86, a teacher at Orange Elementary School in Waterloo, received the IOWA STEM Teacher Award sponsored by the Governor's STEM Advisory Council and Kemin Industries, the Waterloo-Cedar Falls Courier reported.